DoubleClick Publisher Blog: Video Everywhere: What's the Opportunity? Join us on Thursday, May 16th at 2:00PM ET/ 11:00AM PT to hear Ran Harnevo, Senior Vice President of Video for The AOL On Network, talk about the opportunities and challenges of video everywhere, with Peter Minnium, IAB's Head of Brand Initiatives. Sign up here! 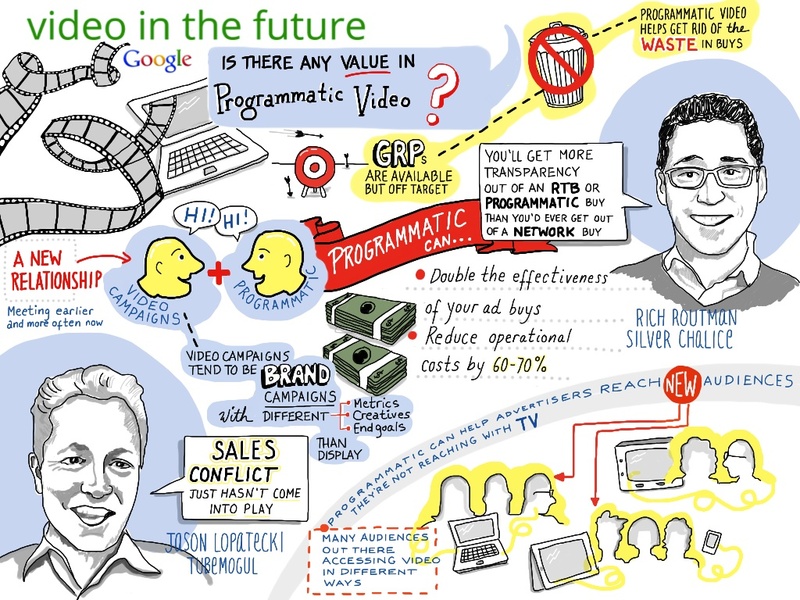 In the last Hangout in our series "Video in the Future", IAB's VP of Ad Technology, Steve Sullivan, discussed the value of programmatic video with TubeMogul's Chief Strategy Officer, Jason Lopatecki, and Silver Chalice's Executive Vice President & General Manager, Rich Routman. Brands and publishers are acknowledging that programmatic video has a place in today's media plans, and provided perspectives on how the space is evolving. They touched on how fast online video is growing and what programmatic buying will mean for transparency, effectiveness, and the reduction of waste.